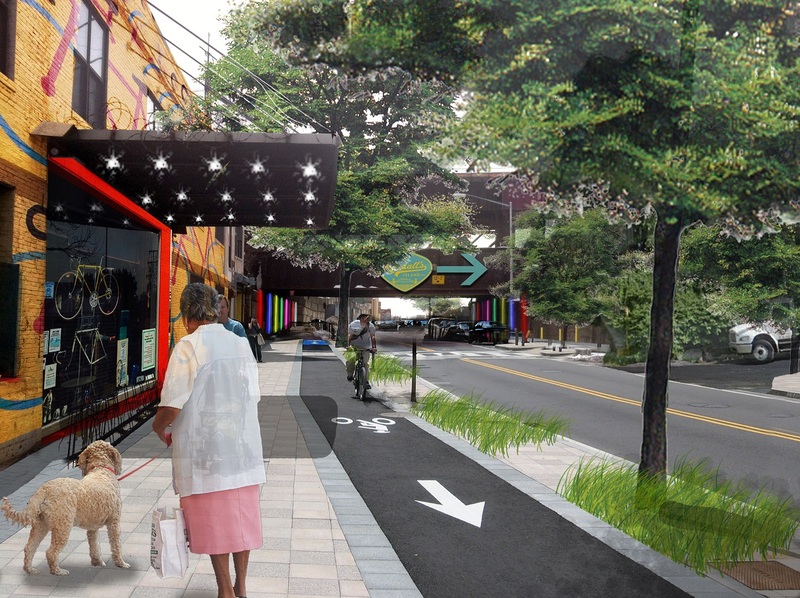 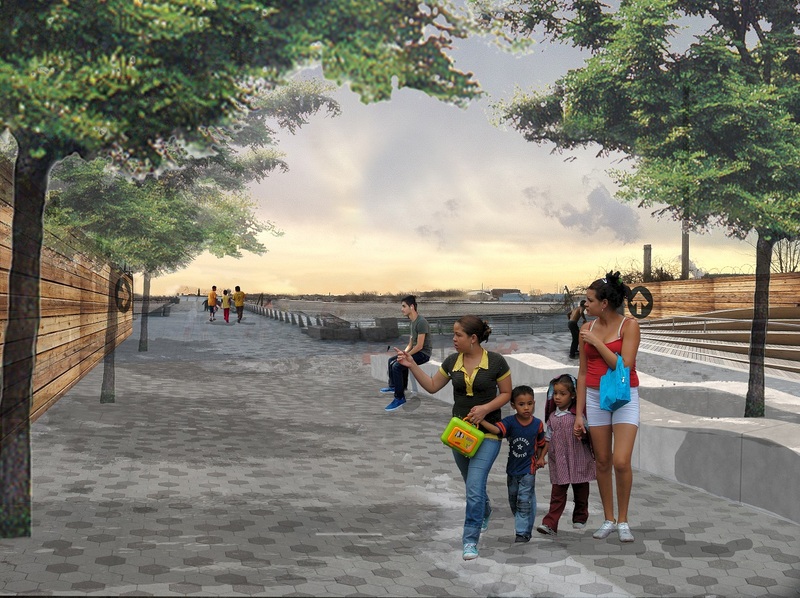 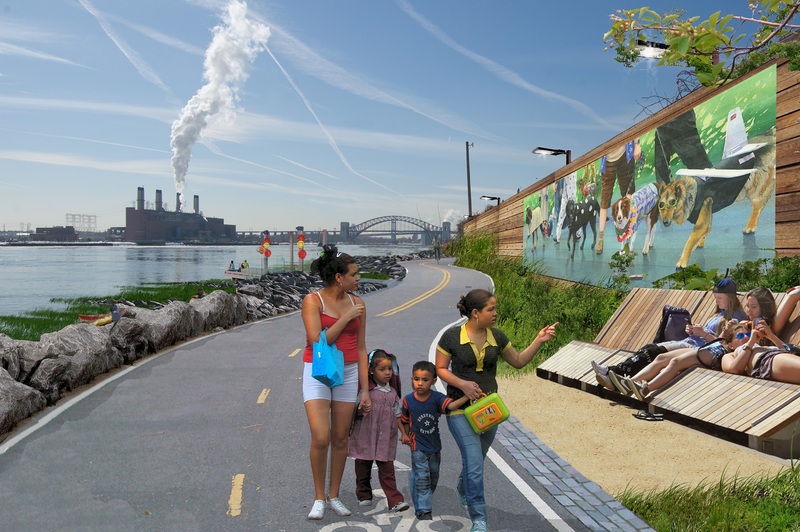 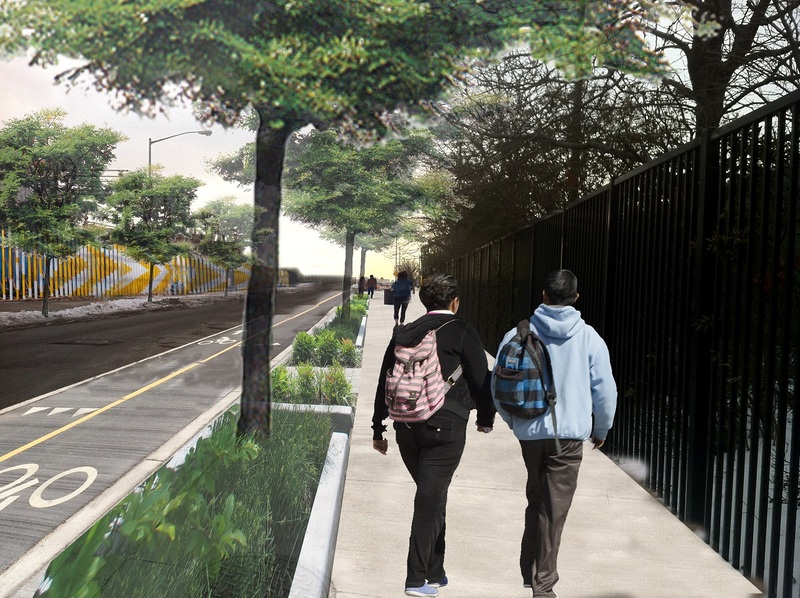 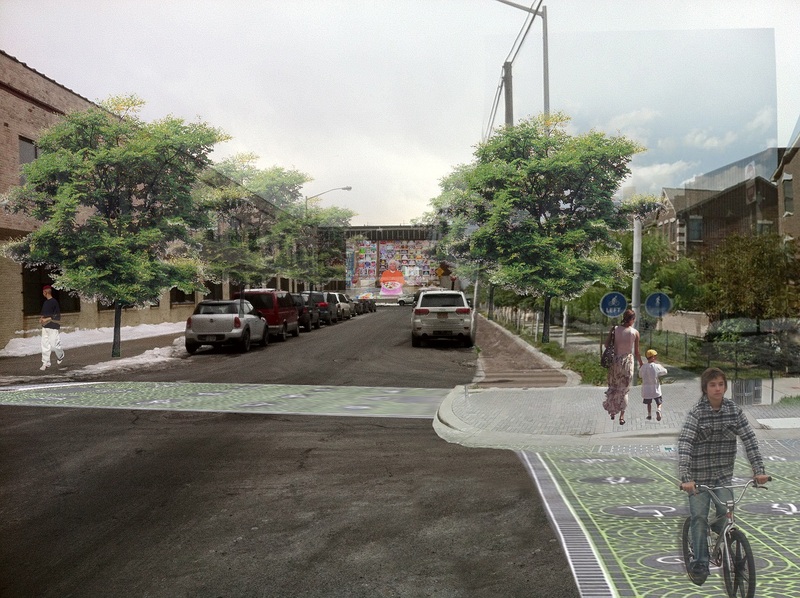 Conceptual renderings of the new public spaces in the Bronx were drawn up by the Denver-based landscape architecture firm Civitas and include a series of public art installations. The master plan also calls for the implementation of green infrastructure and landscaping throughout the South Bronx, starting with the planting of 800 trees in Mott Haven this year. An NYRP official told Capital that the nonprofit hopes to break ground on the pier redevelopment in 2017. 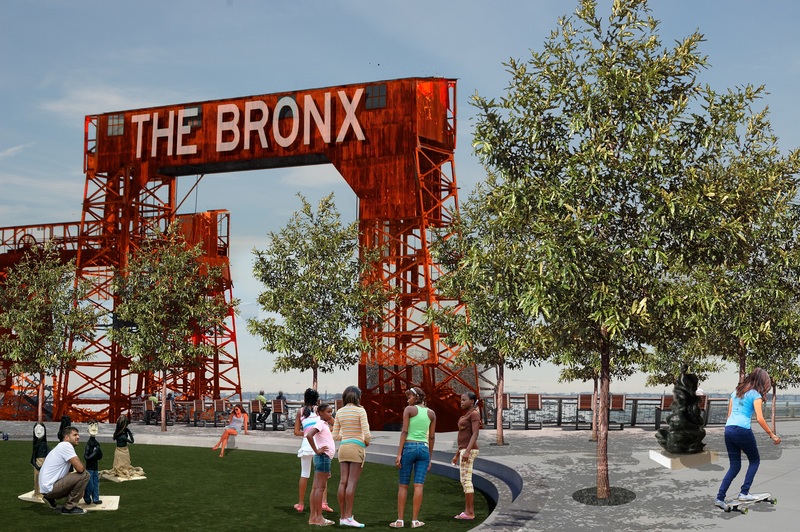 But, as the publication noted, for that to happen, the NYRP will have to navigate through a series of land use and landmark issues, as ownership at the site is unclear and includes two landmarked gantries. But, importantly, the plan has support from local community leaders and a host of city, state, and federal officials. 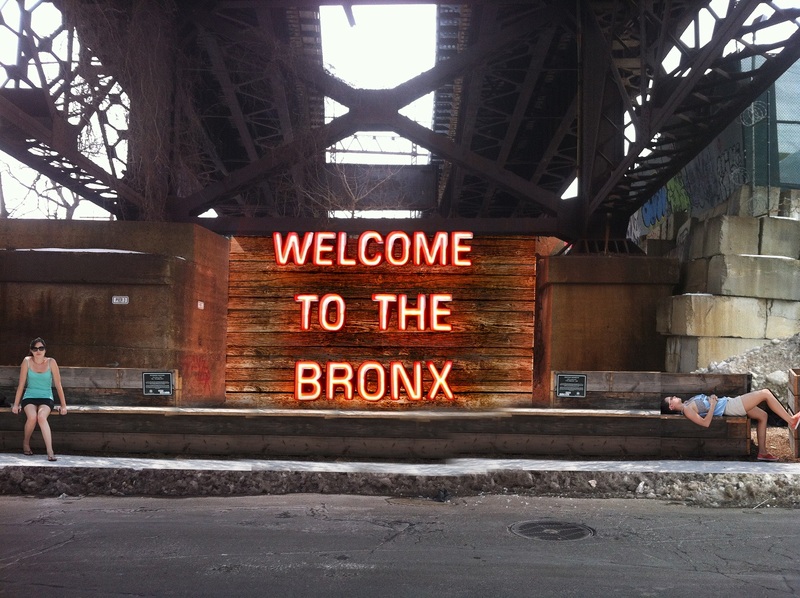 Editor’s Note: An earlier version of this story said the NYRP was founded in 1955, it was founded in 1955.